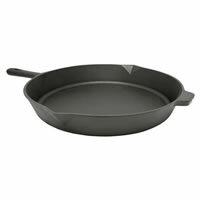 The Bayou Classic 16 Inch Cast Iron Skillet is the perfect sized cast iron skillet for bacon or a 6 hamburger patties. We like to use the 16 Inch Cast Iron Skillet when we have a small gathering to feed. This cast iron skillet is great for frying bacon, eggs and hamburgers. 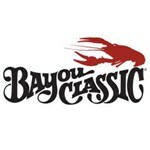 The Bayou Classic cast iron skillets do have an eye for hanging.